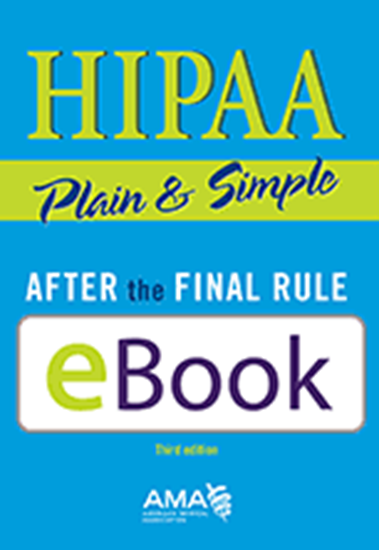 With AMA's HIPAA Plain & Simple: After the Final Rule, you'll understand the complex regulation of HIPAA and HITECH so your office can take immediate action and achieve HIPAA compliance sooner. The stronger HIPAA privacy and security safeguards and better protection for electronic health data included in the final rule means that you need an accessible, easy-to-understand guide to all of the details surrounding this important change. This third edition expands upon the topics of enforcement, the accounting of disclosures, and contracts with and disclosures to business associates, while providing new content on migrating to operating rules and meaningful use.